Medical images contain material which some may find objectionable. View with discretion. 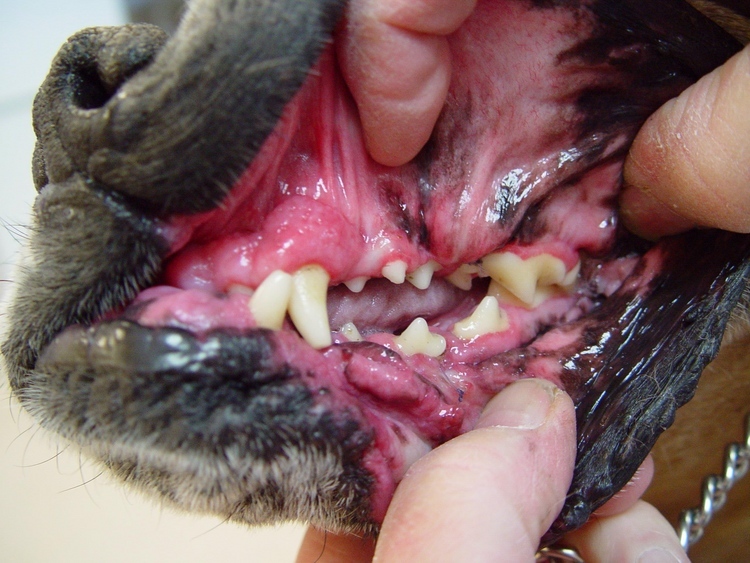 Gingival Hyperplasia (GH) is a common condition in dogs where the gum tissue starts to proliferate and thicken. The severity can vary from a simple thickening to a generalized fibrous response that involves the entire mouth. 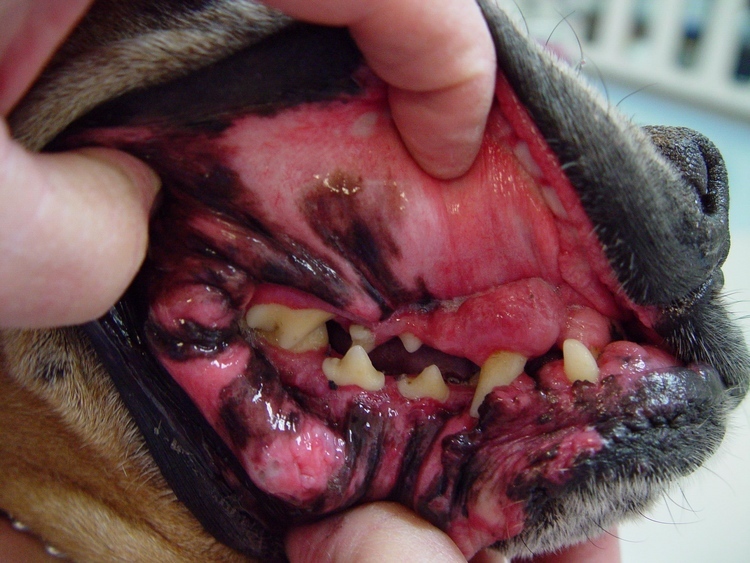 This condition presents the greatest problem and challenge in the Boxer breed. 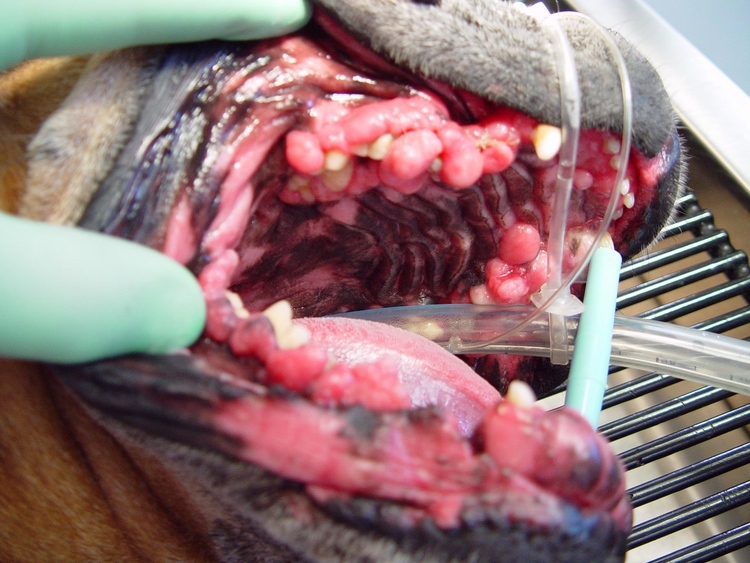 Causes of GH include periodontal disease, cyclosporin, seizure medication and certain heart drugs. The diagnosis can be based on clinical appearance or by submitting tissue for the final determination. Preoperative diagnostics can be done when indicated prior to the procedure. 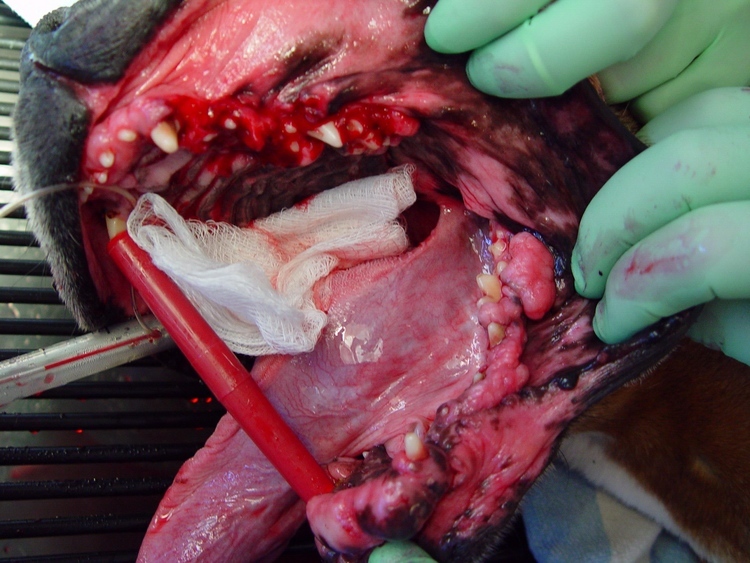 Surgical removal of excessive hyperplastic tissue with reshaping of the gingival margins, can be accomplished many different ways. We find the best results occur when a surgical blade and CO2 Laser are used in combination. 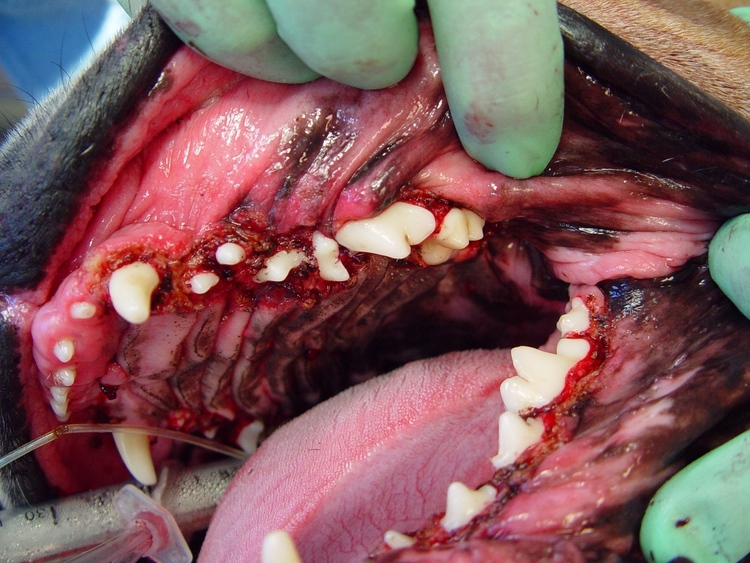 The condition may require more than one treatment in the event that tooth extractions are needed.